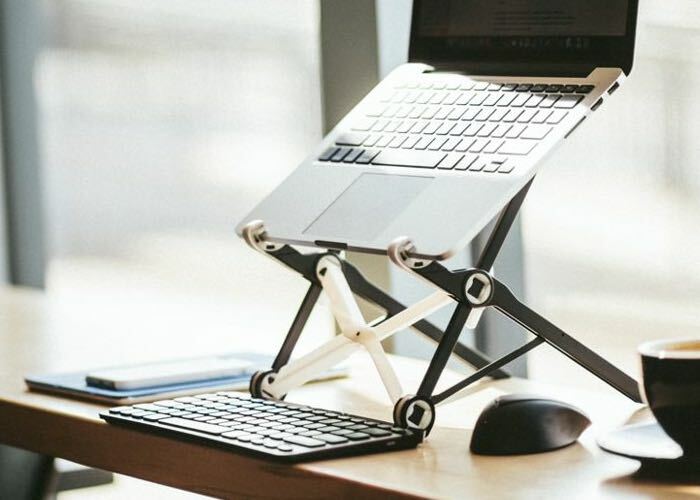 Anyone thats works on a laptop for long periods of time and suffers from back pain may be interested in a new laptop stand called Roost, developed by ￼James Olander. Roost has been developed to provide users with a way to improve posture and help eliminate pain and Repetitive Strain Injuries (RSI) while using laptops. Watch the video below to learn more about the Roost laptop stand and how might be able to provide you with a more comfortable working environment. “Odds are, you’re well acquainted with the neck and other pains that come with hours of leaning over a laptop. It doesn’t have to be that way! Roost is currently in the process of raising $475,000 via the Kickstarter crowd funding website and has already raised nearly half thanks to over 1,700 backers with pledges starting from $49.